When selecting a linear actuator for a project, there are many different things to consider. Stroke, speed, physical dimensions and force requirements are the most common, but there are other things that you may need to account for when choosing an actuator to include in your design. Some customers require their actuators to be dust proof, waterproof or water resistant. These customers typically want to know what our actuators carry for an IP rating. IP which stands for International Protection Marking (or Ingress Protection Marking) is a universally recognized system of rating the degree of protection provided against intrusion for mechanical casings and in our case, electrical devices. Simply put, it's a rating for how resistant a product is to water and dust. The ratings system is designed to give consumers more detailed information about the types of environments that a product is suitable for than vague terms such as "waterproof" or "water resistant". Simply put, an item that carries an IP rating will have the letters 'IP' followed by two numbers, for example, IP24. There are other designations that can follow the numbers, these represent additional, more specific testing. For the purposes of electronic devices, just understanding the basic numbers will do just fine. There is a drop-test component to the IP numbers as well, but at this time it is not yet widely used. 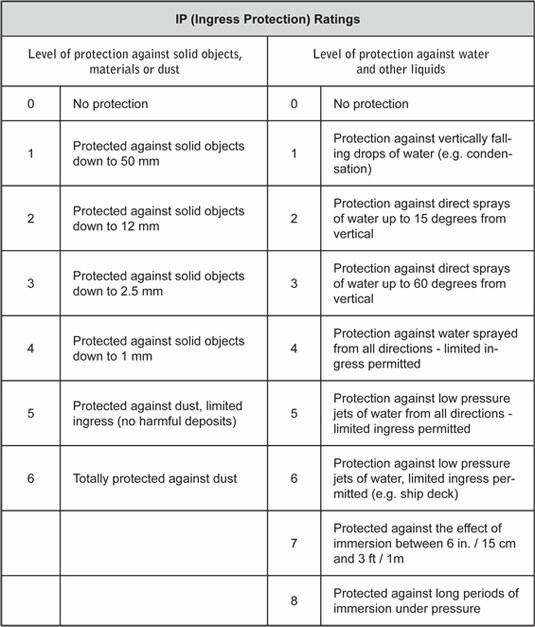 The first number indicates how much protection the enclosure provides against foreign objects. This could mean parts, wires or dust. This is rated on a scale from 0 through to 6 with zero being no protection at all, and 6 being completely dust tight. The second number represents the level of protection that the enclosure offers against the ingress of water. This is rated on a scale from 0-8 with zero being no protection whatsoever and 9k being protected against close-range, high-pressure, high-temperature spray downs. Why Are IP Ratings Important? You don't want to buy a linear actuator, or any electrical device that can not withstand the conditions that it will be subjected to. Understanding how IP ratings work is important to make sure that you choose a device that offers adequate or superior protection to what you require. 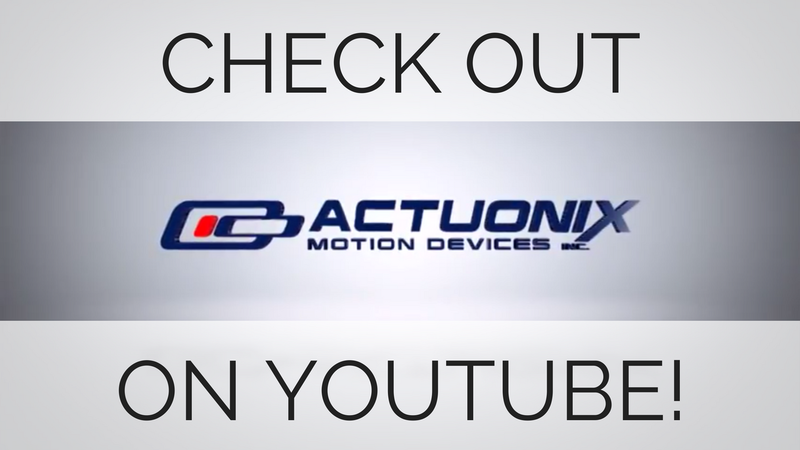 Do Actuonix Actuators Carry an IP Rating? Yes - all of our rod actuators carry an IP rating of 54. The solid object rating of 5 means that our actuators can be expected to protect against all but a very limited ingress of dust and should not effect the operation of the device. The moisture rating of 4 means that our devices are protected from water splashes from all directions, but not complete submersion, high-pressure spray or prolonged exposure. If you have any questions about our IP ratings or need help choosing an actuator that is appropriate to your application and operating environment, please give us a call. Our sales professionals can help you identify your needs and direct you to the product that will best suit your application. If you require a custom solution, we offer a custom micro actuator design service. Looking for more information on IP ratings, check out this Wikipedia article for a more in-depth explanation of how IP ratings work.